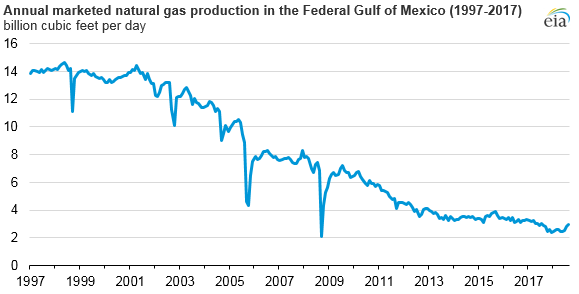 Natural gas production in the U.S. Federal Gulf of Mexico (GOM) has been declining for nearly two decades. 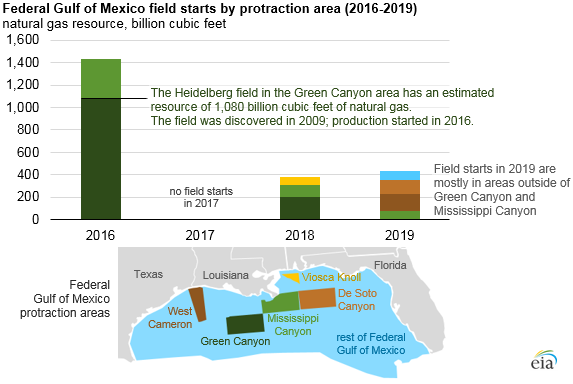 However, 10 new natural gas production fields are expected to start producing natural gas in 2018 and another 8 are expected to start producing in 2019, according to information reported to the U.S. Department of Interior’s Bureau of Safety and Environmental Enforcement. These new field starts may slow or reverse the long-term decline in GOM production. 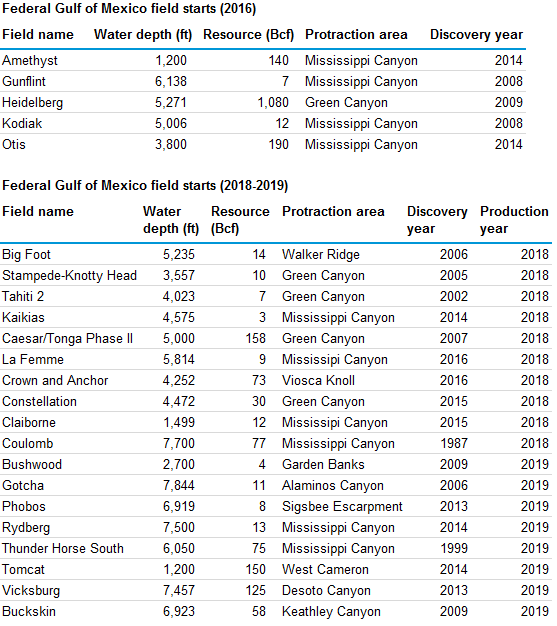 The 16 projects starting in 2018 and 2019 have a combined natural gas resource estimate of about 836 billion cubic feet.